As of the date of this article, the Southland Regional Association of Realtors Multiple Listing Service shows a total of 39 active rentals listed by real estate agents in the Santa Clarita Valley. These rentals make up available properties offered by owners that include single family homes and condominiums. It does not include privately managed or advertised properties outside the MLS. According to the MLS reports, there are no single family homes available within the city of Santa Clarita that are under $2000. What does this mean? The answer is obvious. 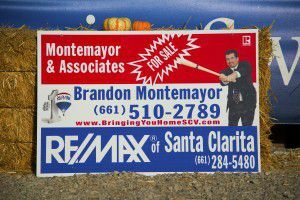 The number of available SCV rentals for sale is low, and prices are continually going up. The downside to renting a home. Of course, many who rent the home they live in do so under the belief that they may not be able to afford to purchase a home. Unfortunately, many of those same people have not even tried to qualify for a home loan. So they continue to pay rent without reaping any of the financial benefits that are available to homeowners, including increased wealth through equity and potential tax breaks*. While in some cases, it may be easier to rent a home, many property owners are raising their qualification levels to include requiring a renter’s income level be up to 3 times the amount of monthly rent. In some cases, property owners are requiring a credit score that is similar to what you would need to obtain a loan…so what are you waiting for? Of course, then there’s the lease which means that your rent most likely will go up at the end of the term. Or worse, your landlord or property owner may decide not to renew, compelling you to start all over again. A simple, no obligation conversation, can determine whether you may qualify for a home loan. Contact Montemayor and Associates to find out what it takes to qualify for a home loan, and take control of your destiny. Use any of the numbers listed at the top of this page, or simply fill out the Quick Response form below. *Tax opportunities for homeowners may vary. It’s best to contact your accountant or tax professional before making the decision to purchase a home.